HOUSTON – Public Citizen, Texas Environmental Justice Advocacy Services, the Texas Campaign for the Environment and the Healthy Port Communities Coalition co-hosted a neighborhood meeting in Houston’s East End on June 27 to discuss the dangers posed by oil trains passing through the community and call for stronger safeguards. 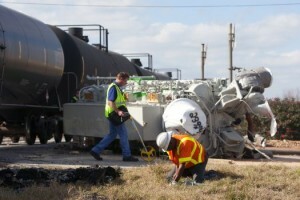 Between two and six million gallons of highly volatile crude oil from North Dakota’s Bakken Shale pass through the Houston metropolitan area every week in fundamentally unsafe rail cars. A U.S. Department of Transportation (DOT) report found than an oil train explosion in a major population center like Houston could cost billions of dollars in property damage and injure or kill thousands of people. 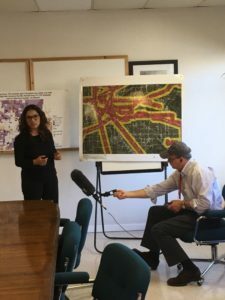 About 30 people attended the June 27 meeting including Texas state Sen. Sylvia Garcia, state Rep. Maria Delgado, a representative from state Rep. Carol Alvorado’s office and several public affairs representatives from the rail industry. The meeting was held at the Immaculate Conception Church on Harrisburg Street. 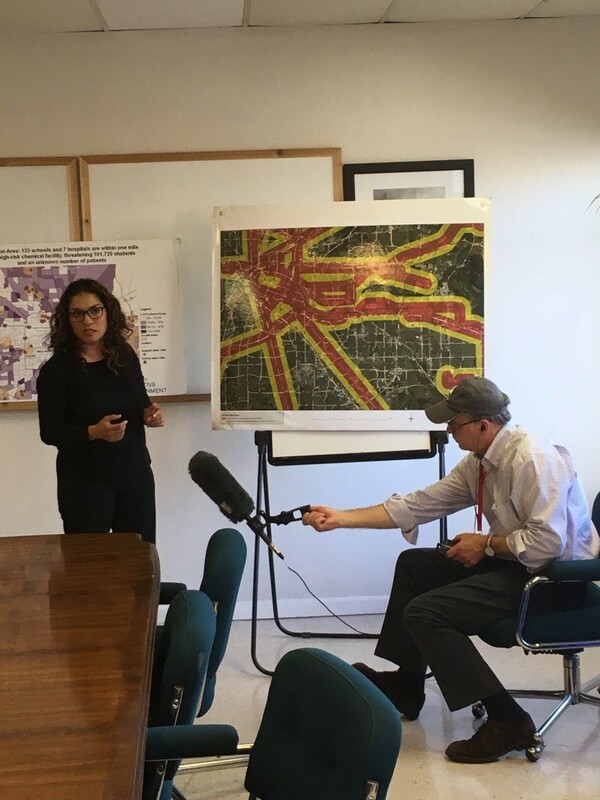 To gain deeper insight into the problems oil and chemical trains pose to East End residents, Public Citizen interviewed Bridgette Murray, a local resident who attended the meeting. PC: Start by telling us a little about yourself and your community. BM: I am a registered nurse, spending my adult life taking care of other individuals, and I am now the primary caretaker for my elderly mother. My family has had a presence in the Pleasantville area since 1957. I returned to the community 20 years ago because I felt safe returning to the neighborhood surrounded by individuals that were like my family in many regards. I chose to live in a community that contributed to my upbringing and support, and I remain active in my community to ensure a better quality of life. Pleasantville continues to be a community with 78 percent occupancy by actual home owners. In spite of the industrial build up on our periphery, we have easy access to both I-10 and 610 freeways. This is a landlocked community with three rail line entrances (two of them Union Pacific). 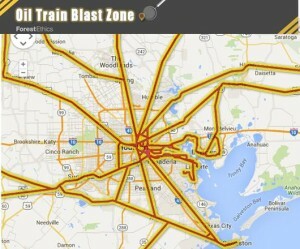 PC: Why are you worried about trains in your neighborhood? How do these trains put your community at risk? BM: The trains have been with us from the beginning. But we recently experienced an incident of a Union Pacific train that blocked all three entrance and exit points to the community for nearly one hour, and the other exit was under construction. If we encounter a train derailment in our community, over 3,000 individuals will not be able to safely evacuate. 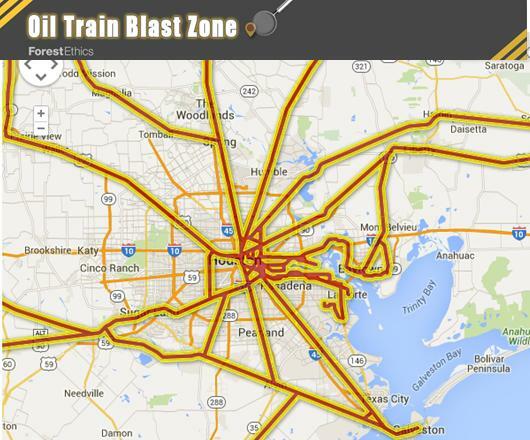 In addition, a significant percentage of our community is within one mile of the blast zone. My own home is within half a mile. Not only are we concerned about the oil trains, but the use of rail for other hazardous materials left unattended on the rail line without notification is a growing concern. PC: What changes would you like to see to fix these problems? It is my understanding from prior events, allowing the trains to burn out is the standard approach. In our community that will mean death for many. Implementation of NTSB’s recommended preventative measures should be considered critical. The community successfully petitioned and partnered with The Metropolitan Organization of Houston for another entrance without rail to improve access for emergency vehicles. But much more needs to be done. PC: If you could send a message to the train, oil and chemical companies, what would you tell them? BM: Safety always seems to follow the profit margin. Lives do matter and residents living near rail lines should be protected. The increase in oil trains should also come with increased safety in how, where and when oil is transported. There should be more community outreach to high-risk areas regarding emergency evacuation training and education. Living near the Port of Houston, I accept the risk that the U.S. Department of Homeland Security speaks of regarding terrorist threats, but I do not accept as reasonable a sanctioned domestic threat of oil train cars when there is something that can be done to improve the situation. My only request is that industry demonstrates some respect for middle and lower income America. PC: Thank you for sharing your story. BM: Thank you for keeping the public informed about this major issue. Last week, federal regulators passed new safety rules governing crude by rail, which has boomed because of the growth in U.S. oil production. 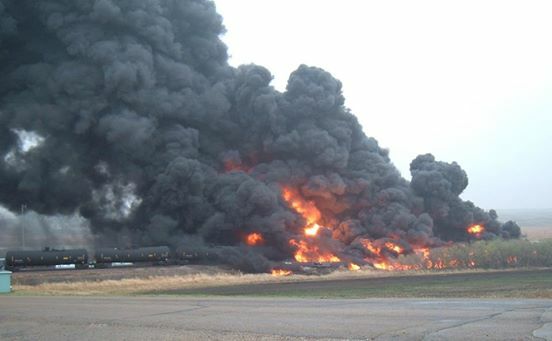 Just days later, another oil train derailed in North Dakota, punctuating the need to more robust regulations that have so far been enacted. 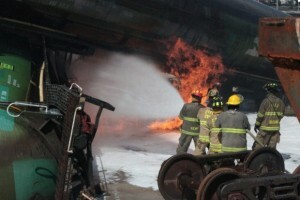 Six of the oil tankers caught on fire, causing the small town of Heimdal, ND to be evacuated. Thankfully the accident didn’t occur in a more populated area. Nearly 450,000 tankers of crude oil moved through North America last year, up from 9,500 in 2009 – a 4,700% increase in five years. In spite of the new rules, with this increase in traffic, we can expect to see more accidents involving oil trains. So far in 2015, there have been 5 major accidents involving oil trains. While most have occurred in relatively unpopulated areas, it is only a matter of time until an accident occurs in an urban area like Houston as trains head to Gulf Coast refineries and perhaps to major ports for export (if the ban on crude oil exports is lifted). This chart was provided by Forest Ethics.